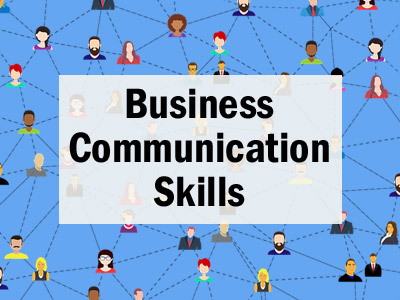 Samantha Williams, founder and owner of Sam’s Word, LLC, will present a series of workshops on business communication skills beginning in April. Because space is limited registration is required. Please register using the links below, or by calling 203-287-2680. All workshops will be held from 10:30am-12pm in the Miller Friends Room. April 10 – Resume Writing – Job searching is extremely competitive. However, presenting a professional resume can help the applicant stand out from competitors. An effective resume can be a tool to landing a dream job, but, because recruiters spend only six seconds reviewing each resume, it needs to grab the prospective employer’s attention immediately. During this fun and interactive workshop, participants will learn how to craft a resume that will impress recruiters and hiring managers. Topics will include formatting, keywords, best practices, and how to tailor a resume for a particular job followed by advice on crafting a cover letter to complete the resume package. June 12 – Instabusiness – More information coming soon! Samantha Williams is a content strategist with over twenty years of writing experience. She founded Sam’s Word in 2015, with the goal of alleviating the writing burden of business owners, and has completed projects of all scopes and sizes.